An explosive atmosphere is defined as a “mixture of air, under atmospheric conditions, and flammable substances in the form of gases, vapours, mists or dusts in which, after ignition has occurred, combustion spreads to the entire unburned mixture”. The potential for explosive atmospheres can exist in locations such as mines, factories, agricultural silos, and oil and gas platforms. There is a wide range of products intended for use in such areas, including control equipment and sensors, transformers, fans, pumps, compressors, flour mills, fork lift trucks, locomotives, lights and beacons. These are all now covered by the ATEX Approval system. A dust explosion occurs when fine particles suspended in the air ignite and burn rapidly, causing a violent increase in pressure. In order to cause an explosion, the combustible mixture of air and dust must be contained in some type of vessel. Grains and other agricultural products are a common fuel for dust explosions due to the nature of their handling and storage. Any time that grain is handled or moved, potentially explosive dust is generated. Grain is usually stored in large upright silos. The grain is elevated to an entrance in the top of a silo and allowed to fall down and gradually fill the silo. As it falls, dust separates out and becomes suspended in the airspace of the silo, creating an explosion hazard. (Notice the initial ‘small’ explosions, which shakes more dust free for a larger, final explosion). 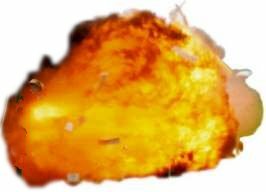 Many factors have an effect on the violence of a dust explosion. First and most obvious is the dust material itself. Some materials that are not even considered combustible in bulk form, such as aluminium, are capable of high-pressure explosions when they are in dust form. Grain dusts are combustible and can cause an explosion, but some types are much more dangerous than others, especially dust associated with corn or sugar. The size of the dust particles also plays an important role in determining the severity of an explosion. A solid fuel, for instance, only burns at its surface where it is exposed to air. A cloud of very fine dust particles has a much greater surface area than a cloud of coarser particles. In addition, fine particles weigh less and tend to stay suspended in air longer. Generally speaking, particles smaller than 840 microns (0.033 inches) can be an explosion hazard. Dust particles must reach some minimum concentration in the air before they can support combustion. This concentration varies with the material in question. In addition, dust that has settled on walls or surfaces may be stirred up by a primary explosion, possibly causing secondary explosions. In a dust cloud containing .020 ounces per cubic foot of dust a human being would not be able to see beyond about three feet. A concentration of .020 ounces per cubic foot is below the minimum limit and explosions usually do not occur in occupied areas. However, these concentrations frequently exist in bucket elevators, conveyor housings, bins, silos, and other such structures where grain is moved around. Different types of grain dust have different combustibility and explosive characteristics. What is the ATEX Directive? The ATEX Directive is the Explosive Atmosphere Directive (LAW) for the European Union (EU). 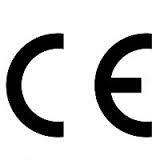 The EU ATEX Directive (ATEX Approval) forms part of the “CE” marking regulations. Although this may appear to be protectionist, the background to the Directive is based on the need for the harmonization of standards and safety. ATEX Approval. Traditionally, European classification of Hazardous Areas limited itself to those areas of risk caused by volatile liquids, mists, and vapours. However, for many years, the North American standards have covered the risks caused by dusts and flyings, such as in coal-crushing plants and flour mills. The risk for these is considerably lower than with gases, vapours, and mists, because higher energy is needed to ignite the dust/air cloud, and higher surface temperatures to ignite the layers of dust. In Europe, certification standards are now in place for these dust-risk areas as part of the ATEX Directive (ATEX Approval). The ATEX Directive 2014/34/EU is one a series of measures introduced under article 100a of the Treaty of Rome. Article 100a directives all have the primary objective of creating a single European market in goods and services with the objective of providing producers and consumers with the benefits of economies of scale that this offers. The effect of the directive has been to introduce identical requirements for the safety of equipment for use in explosive atmospheres in every country within the European Economic Area (EEA). The name of the Directive comes from the French ATmospheres EXplosives. Prior to the introduction of the ATEX Approval Directive, most countries within the EU had schemes for the certification of electrical equipment and required the use of such equipment in certain locations such as gassy mines. However, there were many anomalies in the legislation. Directive 2014/34/EU covers equipment. A complimentary Directive, 1999/92/EC in the UK known as DSEAR, is specifically concerned with worker safety and places requirements on employers whose staff may work in an explosive atmosphere. In many respects the directive simply regularises the existing regime for electrical equipment for use in explosive atmospheres. However, there are some important changes – for the first time, non-electrical equipment is subject to assessment and (in some cases) certification requirements, and locations affected by dusts are also included. >> equipment and protective systems for use within potentially explosive atmospheres. >> devices for use outside potentially explosive atmospheres, but which are required for or contribute to the safe functioning of equipment and protective systems located inside such atmospheres; and components relating to the above. SYNATEL now manufactures sensors that are certified for use in hazardous areas (ATEX Approval and IECEx Approval) created by dust, gas, vapours and mining applications. The zoning classifications for dust are 1D, 2D and 3D where 1 indicates that the sensor is certified for use in the most hazardous location. For gas these are 1G, 2G and 3G. 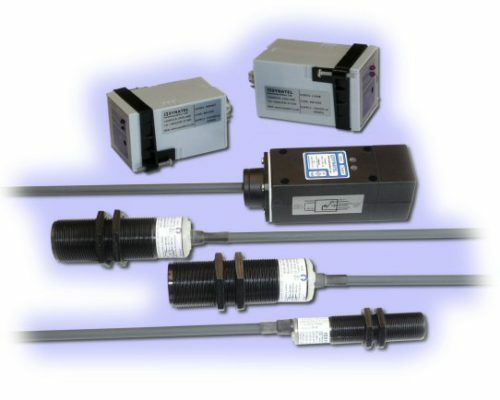 For example, our latest 30mm sensors are classified for the most hazardous areas of both gas and dust areas. Hence the classification you will see printed on the certification label is 1G 1D. Our 18mm sensors are certified also for use in mines with a classification of 2G, 2D, M2. The certification label on our products also state the temperature range over which the sensor can be used and the IP rating. The Directive has been implemented in Great Britain by The Equipment and Protective Systems intended for Use in Potentially Explosive Atmospheres Regulations (SI 1996 No.192) which came into force on 1st March 1996. These Regulations have been amended by the Equipment and Protective Systems intended for use in Potentially Explosive Atmospheres (Amendment) Regulations 2001 (SI 2001 No.3766) which came into force on 21st December 2001. Directive 94/9/EC came fully into force on 1st March 1996. During a transitional period which ended on 30th June 2003, manufacturers could continue to sell equipment which meets the pre-existing national rules, but from 1st July 2003, all equipment within the scope of the Directive to carry the CE mark and comply with the directive’s requirements. The new ATEX directive 2014/34/EU came into force on the 20th April 2016 and manufacturers will be required to comply with this new directive. This also means that declarations of conformity under the previous directive will also cease to be valid from date. Hence SYNATEL has created new ones (ATEX Approval). Manufacturers and Users of non-Electrical equipment, protective systems, safety devices and components should therefore review their future needs in the light of the new requirements. Equipment which was first used within the EEA prior to the date of the implementation of the directive (i.e. before 1st March 1996) is excluded from having to comply with the directive itself. However, if that equipment is refurbished or upgraded so that its original specification is changed, it will have to be made to comply with the full requirements of the directive. Any equipment to which the Directive applies and which was manufactured before 1st March 1996 must be made to comply with the directive if it subsequently brought into Europe from outside just as would any newer machinery manufactured outside the EU. Equipment manufactured for the manufacture’s own use is not excluded from the requirements and will have to be made to comply as if it were made for sale to a third party. The Regulations (ATEX Approval) are enforced in the United Kingdom by the Health and Safety Executive. In the UK the maximum penalty for the supply of non-compliant machinery is three months imprisonment and/ or a £5,000 fine. More importantly, the regulations also give the authorities the power to force manufacturers to recall or replace faulty product – potentially a far more onerous penalty. It should also be remembered that any incident which involves injury or damage will fall within the scope of other legislation, for example The Health and Safety at Work Act 1974 and The Consumer Protection Act 1987. These laws provide for greatly increase penalties than those available under Machinery Safety Regulations. Why do I have to do all this? If your products come within the scope of the Directive (ATEX Approval) and you wish to sell them or have them put into service in the EU, you must ensure that they comply with the essential requirements specified in the Directive and mark them with CE Marking. When does the new ATEX Directive come into effect? What is a Notified Body? 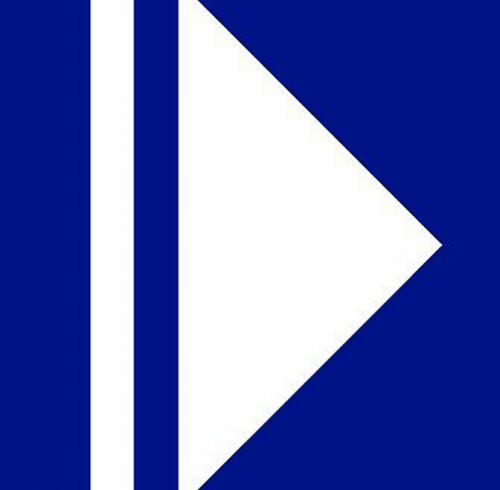 The CE Marking is a marking which signifies Declaration by the Responsible Party (usually the manufacturer) that a product is compliant with all appropriate European Union New Approach Directives, such as the ATEX, Low Voltage, EMC and Machinery Directives. See also ‘Certification‘. What are the ATEX Directive’s quality system requirements? Regarding the reference to special quality system requirements, this means IS09001, plus a special ATEX audit for quality system requirements that go beyond ISO 9000 requirements. EN ISO/IEC 80079-34 If you already have an accredited ISO system, the ATEX audit usually takes two full days and is a good for 18months. If you have no ISO registration, the ATEX audit can take three days, and must be conducted every year. How do I show that my product complies with the Directive? Place the CE Marking on the product, and prepare a document called a Manufacturer’s Declaration of Conformity. This lists all the European directives and standards that the product complies with, also Certificates from notified bodies are sometimes referred to. How much does the overall process cost? Quality audits can be expensive, not only because of the time for the audit, but also for the preparation of the paperwork that must be sent to the Notified Body. Regarding the product certification, it can help streamline the process if the product was not tested to the latest edition of the CENELEC standards, it is possible that some tests would need to be repeated. The sensor is ‘soaked’ at 80°C with high humidity for 28 days and then examined for any deterioration of the plastic housing and epoxy. The labelling must be completely legible and still firmly attached. The process is then repeated at -25 C.
This process causes many plastics to delaminate and the encapsulant to expand. Printed sticky labels sometimes fall off. The sensor is heated to 80°C and then subjected to a 4 Joule impact at its weakest point, 4 Joule is created by dropping a 1 kilogram weight 400 mm onto the target. The sensor is examined for any resultant damage. If it survives this, then the sensor is subjected to the higher impact level of 7 Joule and re-examined. The same process is performed at -25 C.
If the electronics of the sensor becomes exposed following any of the impacts then the sensor FAILS for that level. Our sensor failed a 7 Joule and passed at 4 Joule. This gives rise to a special condition in the certification such that a guard must be fitted over the sensor where there is a risk of high impact. One of the most important aspects of ATEX dust hazard protection is the self-ignition temperature of the dust in question. Hence the surface temperature that the sensor can reach under an internal fault condition whilst being completely embedded in the material and at an ambient temperature of 50°C is crucial to the certification. SYNATEL sensors generally have a rating of 100°C which makes them suitable for use with just about every dust type material. This has been achieved using thermal and current protection within the sensor. The sensor is tested by building a sensor fitted only with the thermal protection device and a resistor which produces the same power output as the current limited circuit in the real version. Power is then applied to the resistor until the thermal fuse cuts-out. The surface temperature of the sensor is then measured. If the temperature rise is too great, then the sensor FAILS ATEX approval and circuit modifications are required. When the surface area of the sensor is greater than 100 sq. centimetres, static electricity generation becomes an issue due to the likely hood of a spark igniting the dust cloud. Unfortunately, the only cure for this at the moment is to coat the sensor with conductive paint. However, the surface area of the 30mm round body, e.g. ID1TZ etc., is less than this and does not require coating. However, the Digimatic DML4 is in excess of this and must be coated. Where the sensor is to be used in sunlight, the ageing nature of UV on plastic must be taken into account. Most plastics become very brittle when aged by UV and must therefore be protected. This can be done using a physical shield, as in the case of the impact requirements, or by coating using paint etc. An example of this is the Digimatic DML4 which has both static and UV Coatings. X, if applicable, indicating that specific conditions apply as detailed in the certificate.